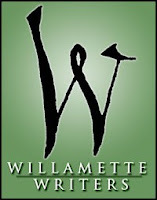 The Willamette Writers Conference was a great experience for me. Lots of writers. Lots of writing theory and practical suggestions. First-time exposure to the art of pitching, a most amazing process to witness. I did not pitch anything myself - just trying to figure out how it works at this point. And I might need to work on my knuckle-ball. I did get a one-on-one manuscript critique with an established writer. The first 20-pages of my novel in progress were submitted back in June, and at the conference, I had a meeting with author and editor Jill Kelly for the review. It was encouraging to get positive feedback. Also confirmed some of my instincts that I have been second-guessing up to now, although in retrospect, it would have been nice if I could have embraced some of those thoughts six months ago. Ah, well. What's that they say about water and a bridge? The good news is I have a good, orderly direction to pursue as I move forward on the novel. The bad news is my synopsis sucked. Ha. My first. Silver-lining is that there is "plenty" of room for improvement. To quote my most favored (and frequent) rejection letter: Onward.